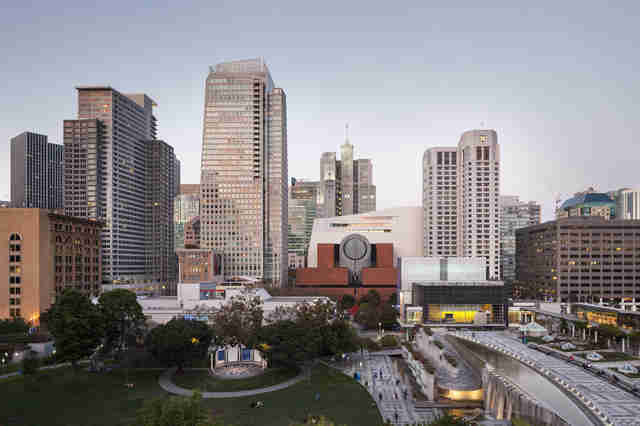 San Francisco’s Museum of Modern Art (SFMOMA) will reopen this Saturday, May 14th after a multi-year closure. The museum will have three times the gallery space of its previous incarnation, and a new look to match the rapidly developing South of Market (SoMa) neighborhood. In a city with amazing museums -- the Asian Art Museum, Museum of the African Diaspora, and Contemporary Jewish Museum are all within walking distance of MOMA’s Third St locale -- the city is genuinely excited about the new MOMA. They have a thoroughly amazing and occasionally strange collection of more than 33,000 examples of architecture, design, media arts, painting, photography, and sculpture, not to mention a 100-year partnership to show a major private collection of postwar and contemporary art. The museum has been closed for renovation since June 2013, and we’re anxious to get back in. The new MOMA will have 170,000sqft of new and renovated indoor and outdoor galleries for your art, thanks to a 10-story expansion. The new 235,000sqft building, which rises behind the original red brick edifice erected in 1995, is an ultra-modern design from architectural firm Snøhetta. SFMOMA’s 19 inaugural exhibits include new work specially commissioned for the museum; 260 pieces of postwar and contemporary art; the first presentation of more than 600 works from the museum’s Campaign for Art, including photography and drawing installations; and other favorites left unseen since the museum closed for renovation. SFMOMA is also dropping names such as Roy Lichtenstein and Andy Warhol for pop art fans, Sigmar Polke and Gerhard Richter for post-1960s German art connoisseurs, and Barbara Hepworth and Richard Long for anyone into sculpture. 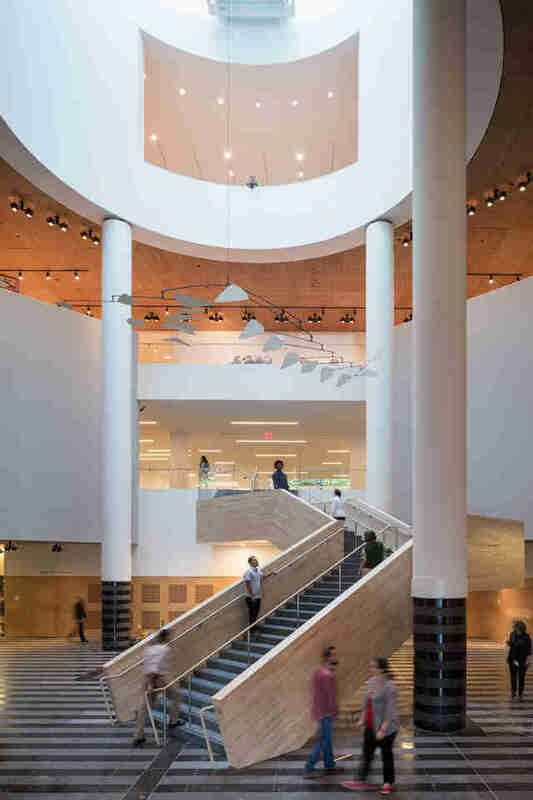 SFMOMA will also open with an expanded center for photography, a textile mural by Dutch designer Claudy Jongstra, new galleries dedicated to the art and artists of California, as well as an exhibit dedicated to the history of graphic design. A media arts exhibit will include a surveillance-based installation that has been conceived and adapted for each of SFMOMA's sites using evolving technologies from 1993 to 2016. The new wing also offers a bunch of gallery-adjacent terraces where you can contemplate a city view. Head to the third-floor Sculpture Terrace to see the largest public living wall in the United States, which has more than 19,000 plants, including 21 native species. SFMOMA has also been influenced by its techie neighbors: the museum's new app includes "immersive" phone-in-pocket audio commentary through the galleries, with perspectives from composers, comedians, artists, and playwrights. The app also offers a series of audio walks, beginning inside the building and moving out into SoMa. The audio walk also includes snacking options: SFMOMA has three new restaurants, one of which is helmed by the three-times-Michelin-starred Chef Corey Lee. Sightglass coffee and pastries will also be available on site. SFMOMA distributed more than 5,000 free tickets for its opening day festivities and while these are unsurprisingly sold out already, the spaces is going to be crowded for a while, as the city reacquaints itself with the museum’s collections. 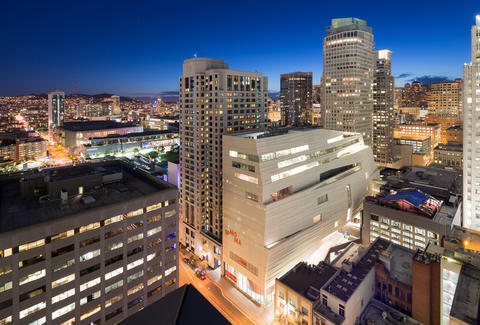 Plus, good news for post-opening day visitors: SFMOMA will also allow free public access to nearly 45,000sqft of its ground-floor galleries, as well as free admission for all visitors 18 and younger. Neighboring institutions will also are offer free admission on May 14th, with performances and activities throughout the day. SFMOMA tickets are available to purchase online for May 15 and onward at sfmoma.org. Jessica Lipsky is a San Francisco-based writer who will almost probably definitely be in line for the art (OK, Corey Lee’s new restaurant) this weekend. Follow her on Twitter @JessicaLipsky.